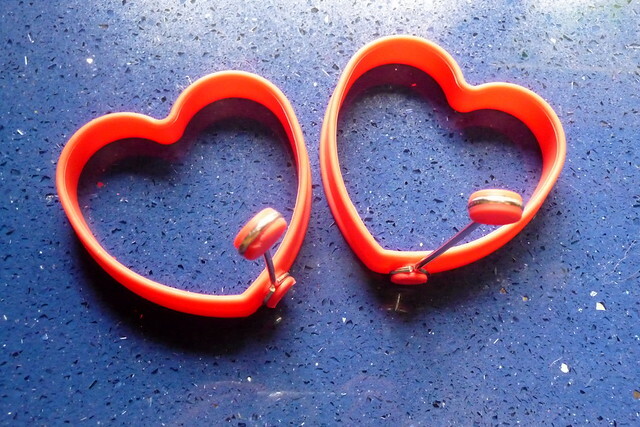 These silicone heart rings are so sweet! 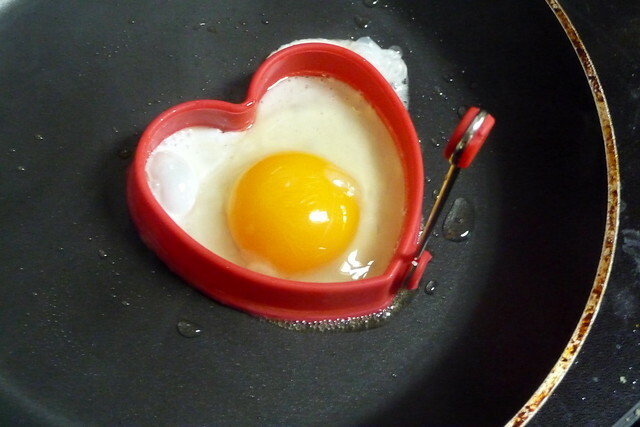 Not only do my kids love having heart-shaped eggs and pancakes, they put a huge smile on my face when I cook with them. I love the association between the French word for egg, l'oeuf, and it's subsequent use as the "love" score in tennis. As I learned from tennis lessons in high school, "love" was used for a score of zero because the number zero is shaped like an egg, or l'oeuf, in French. But according to Wikipedia, "the most accepted theory on the origins of the use of 'Love' comes from the acceptance that, at the start of any match, when scores are at zero, players still have 'Love for each other'." To me, when your score is love, you're definitely not feeling the love. The l'oeuf explanation is more likely. 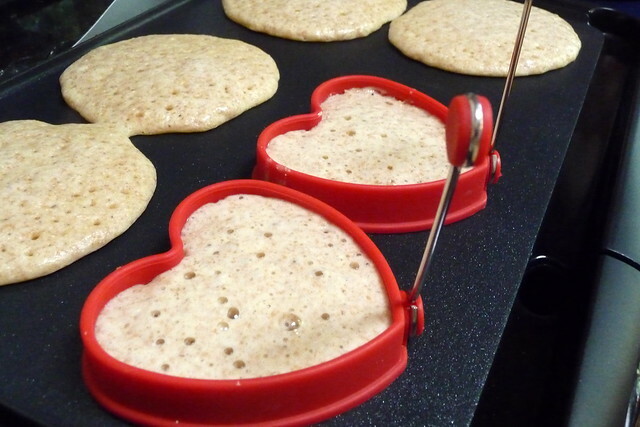 Either way, we all feel the love when eating these heart pancakes. Happy Love Thursday everyone! Visit Chookooloonks for the original Love Thursday. Very cute indeed. 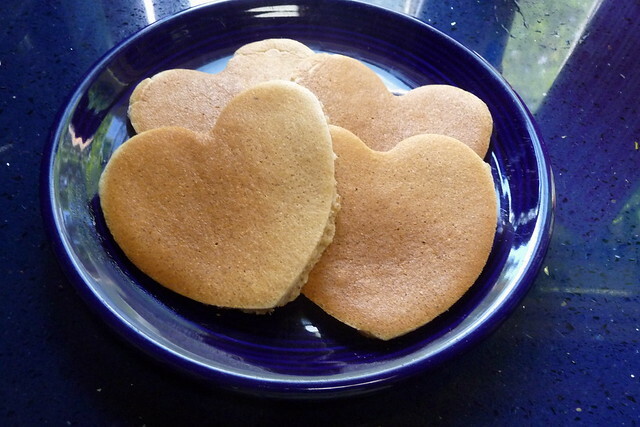 You were so patient to make those pancakes two at a time to make enough pancakes for the whole family love all over. I am very proud of you. I need those!! And now I want pancakes. Drool.